It is strange how something that is not intrinsically ‘real’ can have far greater import than that which we consider to be truly real. Second Life fascinates me, not simply because it’s a virtual world – which is a fascinating concept in itself and an incredibly challenging, vibrant and surprising environment to explore and be part of – but also, and mainly, because of the people who make SL more than just pixels. i have a deep need to know and understand how things work and what makes people tick – SL provides me with an unlimited wealth and depth of experience in that regard, and it is absolutely compelling. As for the people, themselves – they rock! 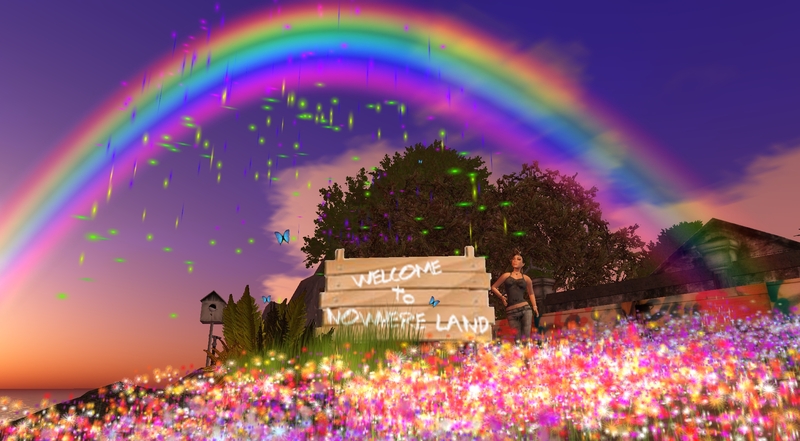 i am closer to some people in SL than many i know in real life – they are my friends and companions and, without them, SL would be a fairly pointless diversion from the real world. Those who have never experienced SL simply won’t understand how that works and there are even those who have been SL residents for far longer than me, who may not have connected in the way that i find natural and so very rewarding. That’s not a fault – we are all different and SL means different things to different people. i’ll give pretty much anything a go in SL – i’m no expert at any particular skill but, one day, with practice and hard work i might become successful at some things – i’d like that! 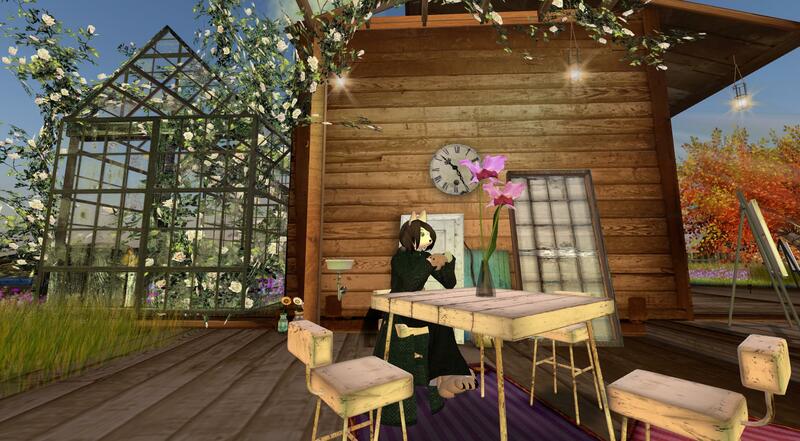 i’ve turned my hand to building; SL photography and sculpture; landscaping; animations; machinima and scripting. i’ve dabbled, without much success – yet – in sculpties and mesh, and i do the odd spot of writing! Inworld, you’ll often find me hanging around with friends at Moonletters’ Town – my hometown – or spending time with friends at The Killing Moon Pub, dancing the night away at Dugi’s Soul Mods or occasionally The Hangout. You’ll find my own particular chunkette of SL on the coastline of Moonletters’ Town – Nowhere Land. That’s also where you’ll find my Gallery: Feel free to pay a visit, any time! Are you serious? Be honest, would you even be reading this if it weren’t for SL? The RL ‘me’ is very different to the ‘me’ you’ll meet in SL – although, in SL, you’re closer to the real ‘me’ than you would ever be likely to get in RL, as am i! In brief, RL is far less interesting than you imagine and probably not a whole lot different to yours. Let’s leave it at that… make up your own version if you want – i can be whatever you like – if you want me to be a world famous celebrity or completely the opposite, then feel free to make me whatever feels right. It doesn’t really matter because the ‘me’ that you know, is the one that you already know – and if you don’t, why not look me up inworld and say ‘Hi’? If you want to catch the odd glimpse of RL, you’ll find it occasionally in the entries in this blog, or in what you see at the Galleries. Prior to SL, i’d never written and i’d certainly never enjoyed writing. i had no idea of what a blog was, and couldn’t see the point in blogging. Somehow, all of this just happened, and now, i enjoy writing and do an awful lot of it. Others may also enjoy what i write, for which i am grateful, however i primarily write for myself, to exorcise my own demons and to assert my right to be who i am – if no-one were to ever read these pages, i would still write – these words give greater form and expression than any avatar could render – they give Seren form and substance – in these words she becomes more real than the person she represents, (whoever that might be!). i’ve also written for Moonletters.com under the pseudonym of Feral Mossrider – an opportunity that i’ve been profoundly grateful for and eighteen months of experience that i will always treasure. Thanks, Shauna for giving me such a great opportunity! Feral never really existed, she’s not an alt and she’s not Seren – she had her own style and approach, and her own way of looking at sl. Now she’s been pensioned off… or as i prefer to think of her, using the sl term ‘the Big Quiet’, but her spirit will live on in this blog whenever i feel the need to put on my ‘academic’ hat and write something in the style she made her own. i’m not sure whether this is even a blog in the sense that most people would define it. i’m no blogonista – although there are a couple of other blogs i regularly follow myself – so i couldn’t really say how this compares with the rest of the blogosphere, not that i care – i do things my way! i’ll write anywhere and anyhow, with whatever is to hand, whenever the mood takes me – on computers, bits of paper, notebooks, my ‘phone or the back of my hand and once it’s been written, i rarely change it. i can’t, for the life of me understand why i never wrote before SL! As for the rest of the blog – ‘Alt. life:‘ is my repository for stuff that doesn’t really come into mainstream SL or RL experiences – here you’ll find short stories, often with a rather alarming insight into the darker parts of my imagination. ‘The Gallery‘ – which doesn’t change very often, is where i get to show off my SL photographs… well, it seems a shame to leave them to languish on a hard drive, and ‘Lights, Camera… Action!‘ is much the same for machinima, which you’ll also find on my Youtube channel. Then there’s ‘Only in RL!‘; an occasional dip into the insanity of the real world; ‘The Library‘ – a collection of my longer stories in one place and ‘Discuss>>>‘, where you’ll find transcripts of the, now defunct, Moonletters’ Discussion Group – drop me a line if you want to view it. i don’t do reviews, write-ups or anything along those lines as a rule. Occasionally, if i come across something that particularly appeals or matters to me in SL, i’ll blog about it. Similarly, i only add sites to my blogroll that i personally feel a connection with. Feel free to send me invitations, items for review or links to your site – i have a complete fascination with exploring, discovery and gadgetry and if something really appeals, i might well write about it, or share it with friends – the more interesting, intriguing, compelling or beautiful an object or place, the more likely it is i’ll be interested – but no guarantees! You’re spelling your pseudonym wrongly ; the word is serendipiTy. Maybe you were misled by Americans’ increasing inability or unwillingness to pronounce the letter T – or should I say “ledder” T .
Nemo, never make the mistake of confusing a chosen name with a dictionary word! The misspelling is both intentional and – as far as i am concerned – correct. The story behind my name is both involved and personal, i may even have shared it sometime in the pages of this blog, but it is certainly not an error. As for being misled: Yes, i’ve been misled and misdirected on many occasions in both lives, but when it comes to language, grammar and the written word, it’s usually myself who’s misleading you, never the other way round!